Christian pastor and American citizen Andrew Brunson has now been held in Turkey for over 20 months. "We are not going to take it sitting down," said President Trump on Friday. 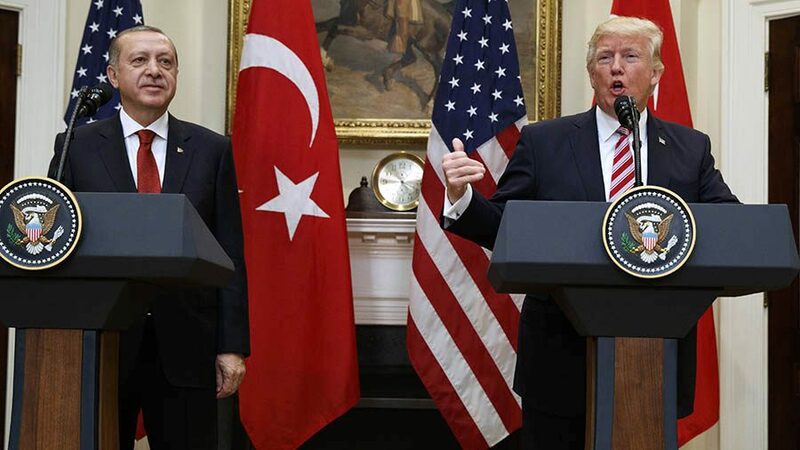 President Donald Trump, accompanied by Turkish President Recep Tayyip Erdogan, addressed reporters in the White House on May 16, 2017. In recent months, the relationship between the two nations has declined as Turkey continues to detain an American pastor. The statement comes as part of an escalating, months-long war of words between the two nations. Recent U.S. sanctions imposed on Turkey have added to an economic crisis for the world’s 17th largest economy. “Failure to reverse this trend of unilateralism and disrespect will require us to start looking for new friends and allies,” said Turkish President Recep Erdogan in a New York Times op-ed last week. The veiled threat reveals how suddenly and significantly the relationship between the U.S. and Turkey has deteriorated. The liberty and well-being of a pastor hangs in the balance. The son of missionary parents, Andrew Brunson was born in South Carolina. He graduated from prominent Christian school Wheaton College in Wheaton, Illinois. His home church, Christ Community Church in Montreat, North Carolina has helped sponsor him for decades. Brunson has lived in Turkey since 1995 with his wife Norine and their three children. He has served as pastor of Izmir Resurrection Church in the nation’s third-largest city. Though recognized as 98 percent Muslim, Turkey’s constitution has long upheld religious liberty. Following a decade as Prime Minister of Turkey, Erdogan was elected as the nation’s president in 2014. He signaled his intentions to re-establish a form of Islamist rule. Months into the new regime, the Islamic State in Iraq and Syria (ISIS) threatened those two nations bordering Turkey. The Obama administration accused Erdogan of aiding the terrorists. Yet Vice President Joe Biden later apologized, despite the evidence. Erdogan’s strongest actions would begin in summer 2016. His regime began to silence opposing voices. Leaders concerned about Erdogan’s Islamist intentions planned to retake the government with democratic aims. On July 15, 2016, their attempt failed. The Erdogan regime claims religious cleric Fethullah Gulen, living in voluntary exile in the U.S., had planned this attempted coup. Days later, Erdogan declared a state of emergency across the nation. His regime quickly took control of the military, civil service, education and the media. “What Erdogan is really doing is eradicating the last remnants of the secular Turkish state, as he proceeds to turn Turkey into, instead, an Islamic State,” stated professor Glenn Reynolds in USA Today. Since July 2016 more than 140,000 people have been detained in Turkey, according to the website Turkey Purge. A team of journalists in exile uses the site to track ongoing human rights abuses in Turkey. Their reporting reveals how over 3,000 schools have been shuttered and over 300 journalists arrested, among other dictatorial actions. American pastor Andrew Brunson welcomed Kurds into his church. This put him right in the crossfire. On October 7, 2016, he and his wife Norine were summoned to a police station in Izmir. Within days, she was released. They held him on charges the pastor didn’t even know. “Because he was ministering to some Kurds, the Turkish government made bogus accusations against him,” says Richardson. “They accused him of being a Kurdish collaborator. Is simply loving on Kurdish people a crime in this country?” Specifically, they linked him to religious cleric Gulen, accused of instigating the 2016 coup. Brunson has now endured over 22 months in custody. Though Erdogan’s emergency powers were to expire after three months, he continues to exercise them. 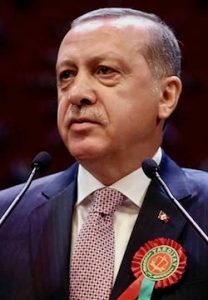 On July 8, 2018, Erdogan sacked another 18,000 Turkish officials allegedly linked to Gulen. Starting July 24, the U.S. hosted the first-ever Ministerial to Advance Religious Freedom. Delegates from 88 nations gathered to commend religious freedom as a central human right. Speaking before officials and nonprofit leaders, Brunson’s daughter Jacqueline Furnari pressed for his release. She spoke of the pain of her imprisoned father missing her wedding. This pressure seemed to net some results. 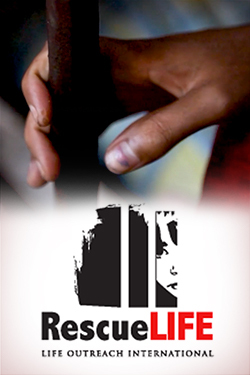 On July 25, Brunson was released from jail and placed under house arrest. However, with this move, reports indicate Turkish President Erdogan reneged on a secret deal. A Turkish dissident had been released on July 14 by Israel, a close U.S. ally. Brunson’s full release had been assured in exchange. After the betrayal, Trump escalated sanctions. On August 1, the U.S. froze the assets of two top Turkish government officials. A week later, President Trump announced that tariffs would double on aluminum and steel imported from Turkey to the U.S.
As the cost of living has increased for Turkish citizens, some have questioned the increasing sanctions imposed by the Trump administration. “With the Turkish economy in decline due to [the] purges and overall mismanagement, American sanctions only reinforce Erdogan’s rhetoric,” reported Christianity Today on Thursday, citing several sources. Chris Seiple of the Institute for Global Engagement disparaged the Trump administration for barely mentioning the 20 other Americans imprisoned in Turkey. “The singular focus on Brunson allows the Turkish press, among others, to promote the narrative that America only cares about American Christians, and not all its own citizens,” stated Seiple. The Washington Post confirmed Wednesday, however, that State Department officials are working to free all Americans detained over the past two years. 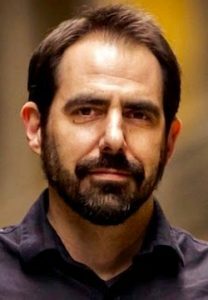 Alternately a critic and backer of the Trump administration, Joel Richardson urges Americans to view current issues in context. 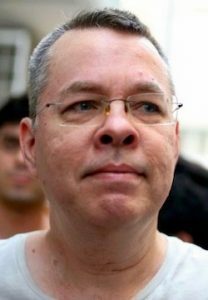 On Friday, a high court in Izmir, Turkey upheld the lower court ruling that keeps Brunson under house arrest and banned from travel. His next court hearing will be on October 12. He and his family have been represented legally by the American Center for Law and Justice (ACLJ). Over the past year, ACLJ has gathered over 590,000 signatures calling for the release of Pastor Brunson. They plan to deliver it to the next UN General Assembly meeting which begins on September 18. Watch a video below from Pastor Brunson’s daughter, and learn more about the ACLJ petition. Well, I guess this is what the government will try to do if you are not a Muslim over there. Stalin had the same kind of thing, He would put people in prison for any drummed up charge. Let’s keep this man in our prayers. President Trump, so far, is the best president in the US history. If they don’t release Pastor Brunson on Oct. 12th I think we should go in and take him back by force.